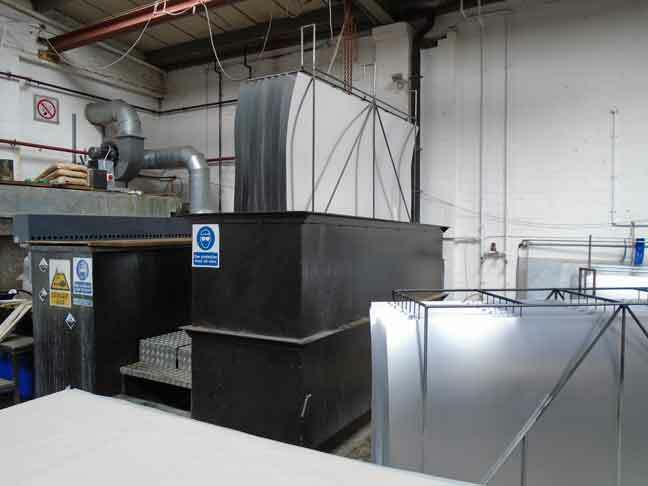 Bonded Components owns and operates two multi-daylight heated hydraulic presses. 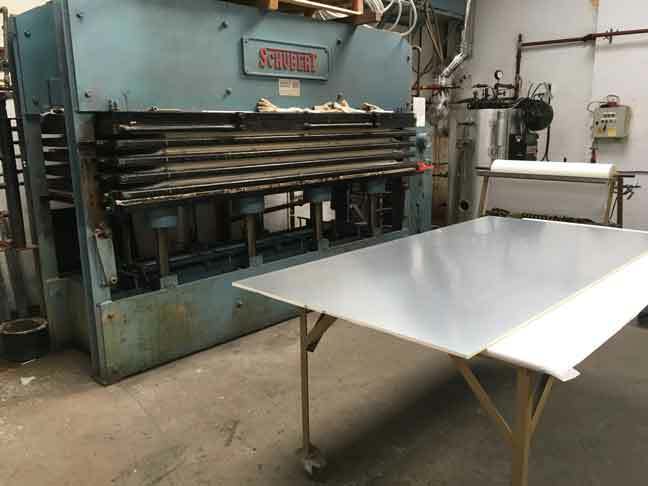 Our main press is a 5 platen 4 daylight press, capable of curing panels up to 180 degrees. 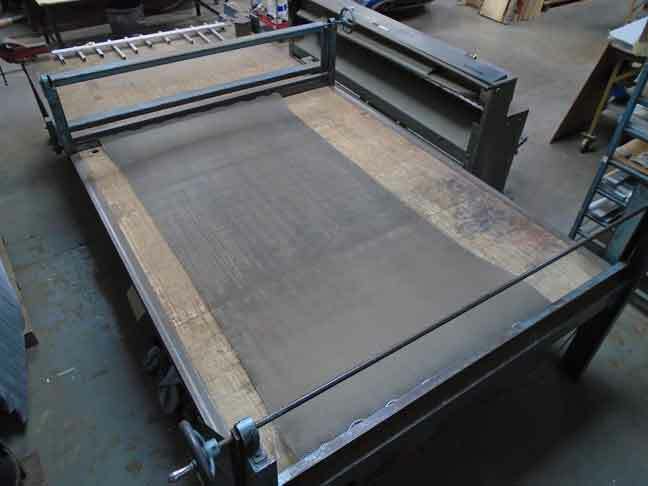 The press has a maximum size of 3150mm by 1350mm however the most economical size is 2500mm by 1250mm (8’ by 4’). In commercial applications and depending on its application, we are able to extend beyond this size, for further information please contact us. The press is hydraulically operated and can pressurise the hydraulic rams up to 6000 PSI, based on a panel size of 8 by 4 foot, this equates to approximately 100 PSI. Unlike a lot of hydraulic presses, the hydraulic rams have a long stroke, allowing the press to be closed fully will minimal material. This gives BC an advantage when curing cold cured panels, as we can press the panels straight away whilst subsequent panels are laminated. Bonded Components owns and operates a CNC 3 Axis router, which is capable of machining precise and intricate parts of up to 2565mm by 1350mm by 100mm. We are highly experienced and are capable of machining parts from either from a technical drawings or directly from CAD data such as 2 Dimensional (*.DXF or *.DWG) files or 3 Dimension models (*.IGS). If you have a different format not listed above, please contact us for further information about the files we can work to. Prior to laminating, the core slices are expanded from their HOBE (HOneycomb Before Expansion) state to the honeycomb lattice structure maintaining the correct cell size. 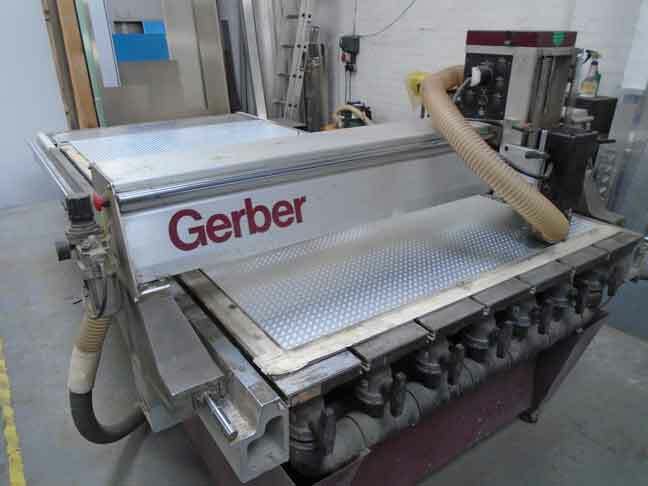 This process can be done either by hand or using a core expansion table. Bonded Components operates a motorised expansion table, allowing for an even and consistent expansion of the honeycomb. Aluminium is highly reactive to oxygen in the surrounding air and quickly builds up a layer Aluminium Oxide on the surface of when Aluminium is exposed. Unfortunately, this layer of Aluminium Oxide is extremely brittle, and when bonded to, fails easily under load. However, when Aluminium by itself or an alloy is bonded to prior to the build-up of Aluminium Oxide, a very strong and durable bond can be achieved. Bonded Components surface treat all of our aluminium prior to bonding using an acid etch. This way we remove the oxide and are able to bond directly to the aluminium, allowing us to achieve high and reliable adhesive bonds. Bonded Components Limited is a company registered in England and Wales. Copyright © Bonded Components Limited. All Rights Reserved. Bonded Components Limited is a company registered in England and Wales with the company number of 01858852 and VAT number of 396038525.